Turkish President Recep Tayyip Erdogan declared Saturday that his country would not be cowed by the United States, his latest broadside in the bitter feud between Ankara and Washington. 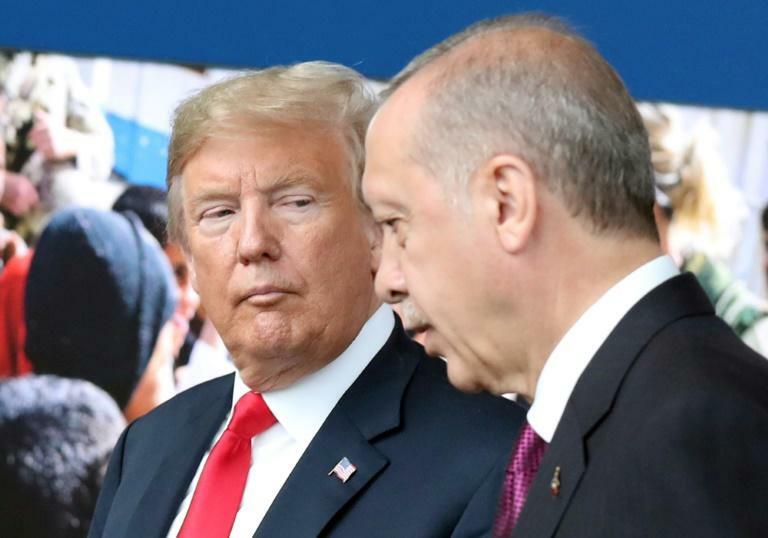 The two NATO members are at odds over Turkey's detention of an American pastor, which has triggered a trade row and sent the local currency the lira into a tailspin. "We will not surrender to those who present themselves as a strategic partner while at the same time trying to make us a strategic target," Erdogan said at a congress of his ruling Justice and Development Party (AKP). "Some people threaten us with economy, sanctions, foreign currency exchange rates, interest rates and inflation. We know your shenanigans and we will defy you." At the end of congress, delegates unanimously re-elected Erdogan as head of the AKP, the state news agency Anadolu reported. Last week, US President Donald Trump said he had doubled the tariffs on aluminium and steel tariffs from Turkey, prompting Ankara to sharply hike tariffs on several US products. And Turkey on Friday threatened to respond in kind if Washington imposed further sanctions, while a court rejected another appeal to free pastor Andrew Brunson, who has been held for almost two years on terror charges. The lira has nosedived against the dollar, dropping as much as 20 percent on one day last week. It sunk to a low of well over seven to the dollar earlier this week but was trading at just over six to the dollar on Friday -- a loss of 40 percent since the start of the year. The collapse of the currency has been blamed both on the tensions with the United States and Erdogan's increasing hold on Turkey's economy and his refusal to allow the central bank to raise interest rates. Meanwhile, Erdogan told the AKP congress that Turkey would press on with and expand its cross-border military operations. The YPG forms the backbone of the Syrian Democratic Forces (SDF), the Kurdish-Arab alliance that has received extensive backing from the US-led coalition in the battle agains the Islamic State group. The Turkish army has also increased its strikes against PKK rear bases in the north of Iraq in the past few months.